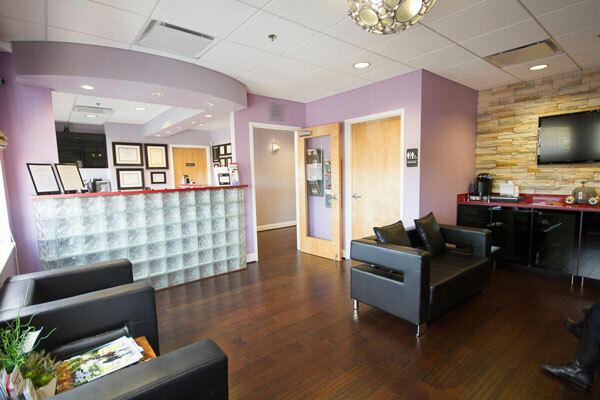 Your first visit begins with a comprehensive oral evaluation. If you are moving into the area, please ask your former dentist to send a copy of your records. Dr. Papageorgiou will develop a comprehensive treatment plan to help you achieve the healthy smile you have always wanted. Please feel free to ask any questions you may have about your treatment options when you come into the practice. When you come in for your initial visit, please be sure to bring your dental insurance card and arrive early to fill out your initial paperwork if you have not already done so. If you are on any medications, please bring a list of them with you to the office. If you need antibiotics prior to dental work please take them as prescribed. If you are not sure if you need antibiotics please contact your doctor prior to your visit. If you have a special occasion coming up or just want to brighten your smile whitening may be a great option to consider. Whether you need a cleaning, a filling or even a brand new smile, we are here to help. Great dental care doesn’t just make for a fantastic smile, it also helps promote overall health and wellness. We want you to have the confidence to share your smile with the world!